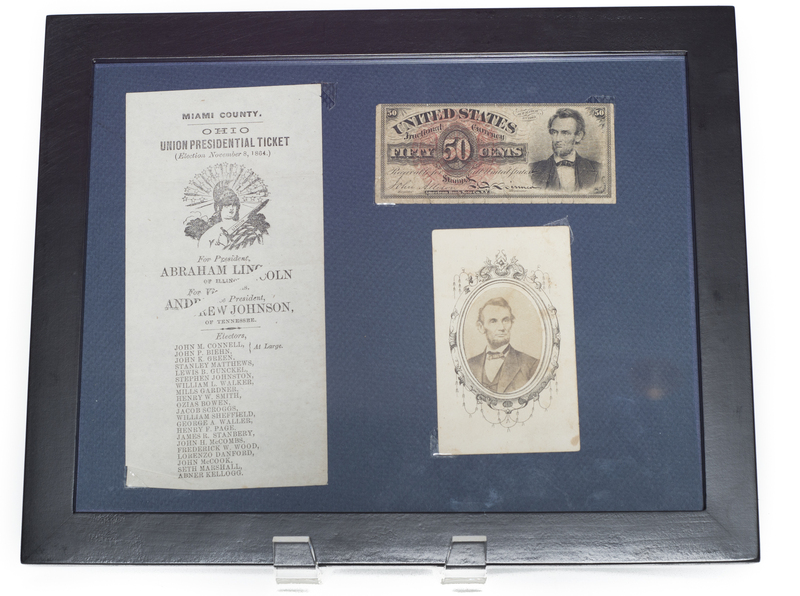 This set is newly framed and ready to hang. 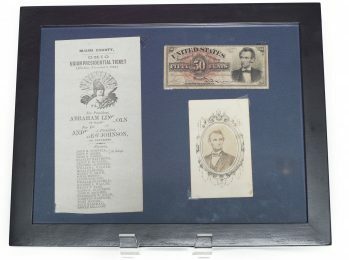 The group consists of a 50 cent piece of Abraham Lincoln fractional currency, a Miami County Ohio Union Presidential Ticket, and what appears to be a contemporary picture of Abraham Lincoln. 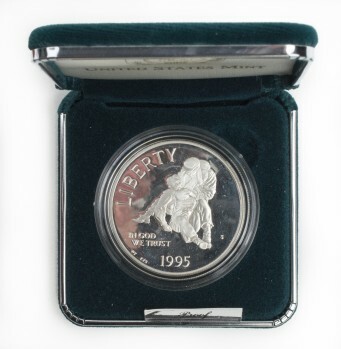 This lot is further sweetened with a modern 1995 proof Civil War commemorative dollar.